Whether you love them or hate them, if you have children there’s no avoiding them—school holidays. They come around four times a year and if you’re not prepared for them, you could be spending your ‘time off’ dealing with a pack of bored, restless or despondent kids. But don’t despair. With a little planning and a few good ideas in your back pocket, you can easily turn school holidays from being a much-dreaded occasion, into a much-treasured one. Whether you have littlies, tweens, teenagers or all the above, feel welcome to treat this as your Canberra school holiday survival guide, with all the information and ideas you need to make sure your kids are kept entertained and occupied throughout the 2019 school holidays. 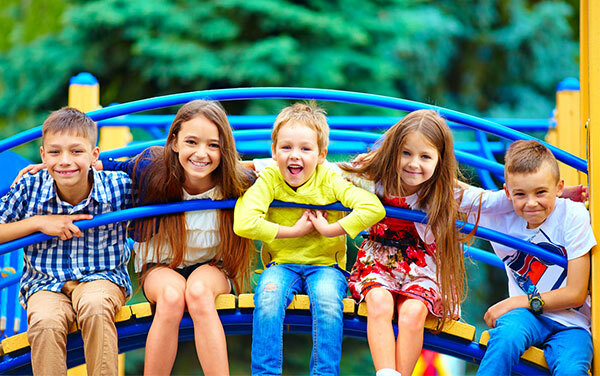 One of the best ways to avoid mini-meltdowns throughout the holiday period is to plan a timetable of outings and activities that will keep them engaged and occupied in advance. A good approach is to get them involved in developing the plan. Not only will they be able to suggest the things they really want to do, but they’re also less likely to be complaining of boredom during ‘at-home’ days because they’re agreed to the plan beforehand. Yarralumla Play Station (Yarralumla) – Always a winner with the littlies, most likely because everything is made to fit them perfectly. With a miniature railway, mini golf and a mini farm, it’ll make for a fun day out. Play centre/Café (Various locations) – This is a great one if you can rally some fellow parents or friends trying to survive the school holidays to come along. Enjoy a chat over a cup of coffee while the little ones run around to their hearts content. And the best bit is, you can almost guarantee they’ll sleep like an angel that night! Cockington Green Gardens (Nicholls) – With miniature steam train rides, a display of handcrafted miniature buildings and gorgeous landscaped gardens to run around, it’s the perfect place to visit whenever you get some nice weather. Questacon (Parkes) – No matter how many times you visit Questacon, it never loses its appeal. Delivering science and technology in an interactive and fun way, not only will your tween be entertained, they may even learn a thing or two! National Zoo and Aquarium (Yarralumla) – Who doesn’t love animals? Simply wander around the enclosures, or if you want to do something extra special that they’ll remember forever, book in a Close Encounter or Zooventure Tour experience where they can get up close and personal with their favourite animal. Phillip Swimming and Ice Skating Centre (Phillip) – Take a trip back to your own childhood by taking your tweens to the local ice rink to test their skating skills. Guaranteed to have you all falling on your backside in a fit of laughter! Escape Rooms (Various locations) – This is a great way to put their communication and problem solving skills to work in a fun and exciting race to escape. They can however be quite hard, so it’s definitely an activity where you’ll have to join in to help them to solve all the puzzles. Seg Glide Ride (Parkes) – This is a great idea for the whole family to get outdoors and soak in the atmosphere of beautiful Canberra. Just note, kids must be over 12 years of age so not something you can do if you have littlies in tow. iPlay (Belconnen) – Something for every teenager here – from laser tag and bowling, to dodgem cars and arcade machines – it’s sure to keep them entertained for hours! If all else fails or you can’t get enough time off work, an organised school holiday program could also be a great idea. Bricks for Kids host lego building workshops in Palmerston, Ainslie or Garran. Code Camp teaches children how to develop their own iPhone app in only a few days. Available at both Canberra Grammar School in Red Hill and UC High School in Kaleen. Belconnen Arts Centre conduct classes for kids throughout the school holidays where they can experiment with various mediums, techniques and materials.